CarGurus has 837 nationwide 1 Series listings starting at $4,750. Sure, BMW's 1 Series is "entry level." But entry level takes on a different meaning when it comes from BMW. That being said, the 2009 1 Series is very similar to the 2008, when the line was introduced. 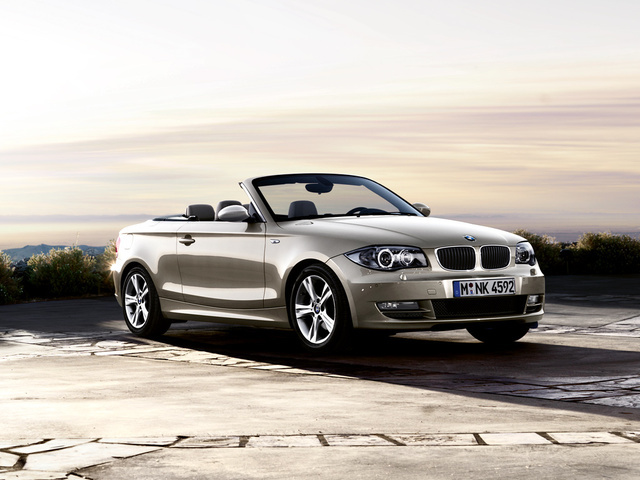 Both the 128i and 135i come in coupe or convertible form. The 128i has a 3-liter, 230-hp inline six with 200 lb-ft of torque. The electronic water pump increases power, BMW’s Valvetronic system increases fuel efficiency, and the use of a composite magnesium/aluminum block decreases the engine’s weight. A 128i manual-transmission coupe can get from 0 to 60 in 5.9 seconds, while an automatic convertible 128i makes it in 7 seconds flat. A twin-turbocharged, 3-liter, 300-hp inline six with 300 lb-ft of torque sits under the 135i's hood, the same engine found in some 3 and 5 Series models. Its two small turbochargers help with fuel efficiency and turbo lag. BMW claims to have eliminated the turbo lag altogether, but some reviewers note that a bit remains. BMW’s direct fuel injection system also aids fuel efficiency (the 135i coupe is rated at 17/25 mpg) and keeps this powerful engine effectively cooler. Some other features the 135i has and the 128i does not include a sport-tuned suspension, 18-inch wheels, xenon headlights, and climate control. BMW’s trademark handling is evident in all four 1 Series trims, thanks in no small part to the company’s Dynamic Stability Control, which helps correct the loss of wheel traction, and Dynamic Traction Control, further enhancing control in bad conditions. The 6-speed manual transmission that comes standard provides meticulous shifting, while the available 6-speed automatic with optional manual shift control is smooth, won’t hesitate to downshift for more power, and is quick to respond to manual gear selections. The engine runs quietly, and wind and road noise are well damped. However, the 18-inch performance tires on the 135i and the optional 17-inch run-flats that come with the 128i sports package increase road noise and may add some harshness to the ride. If no one is over 6 feet tall, the four-seat designation for the 1 Series will hold true, although two adults in the rear seat will be literally rubbing elbows. The back seat is better used for added storage. The coupe's trunk holds 13 cubic feet of luggage (the convertible loses 1.6 cubic feet), but interior storage is limited to a small glovebox and console box. The coupe’s sight lines are not impeded, but the extra-insulated soft top on the convertible limits visibility somewhat. Interior details are classy and fit the price ($29,200 for the 128i coupe, and $33,800 for the convertible; the 135i is $35,600 or $39,900), although the standard seats are only average in terms of comfort. Stand-alone options include keyless ignition/entry, Active Steering Control, a navigation system with iDrive, iPod interface, and heated front seats. What's your take on the 2009 BMW 1 Series? 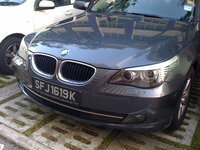 Have you driven a 2009 BMW 1 Series? Looking at buying a 2009 BMW with 97,500 miles on it,it's got full service history and is clean in and out is this a good buy though? or money pit? How Do I Contact Inquiries To My Posting.